Most people dreamed of living in a home that is as big as a mansion with all the complete things they want like a home theatre, a home library, a pool and many others. It would really be nice to live in a house which gives you everything you want but it would be nicer to live in a palace that could offer you a comfortable place to live in with the simple things you need. 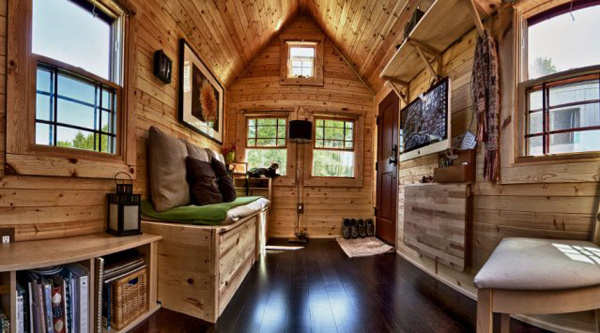 This is what Chris and Mallisa had in mind when they decided to make a Tiny Tack House for themselves. 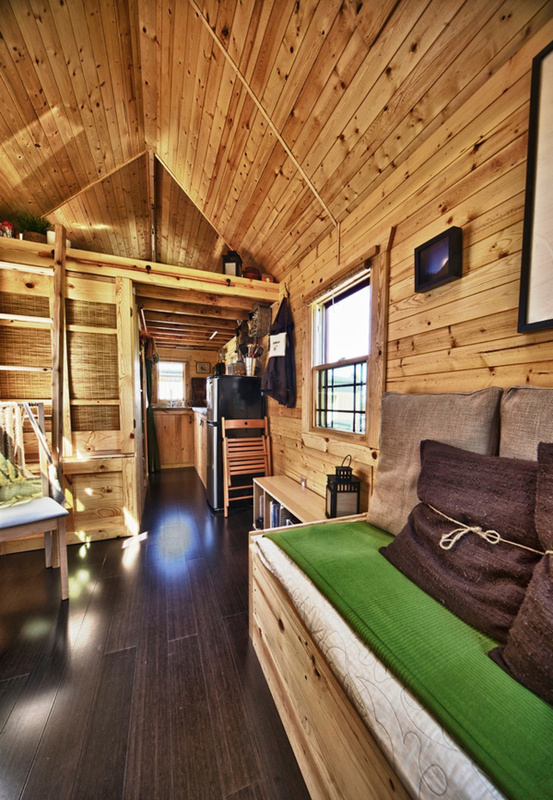 The Tiny Tack House was designed by Malissa based on their needs. Since Chris is a photographer and Malissa a 3D artist, they both needed a computer to work on. Hence, they had a great room and work space in one. In the same area is a sleeper bench with a storage area below it to allow some guests to sleepover. The couple’s cats were also considered in the design creating a cat potty area below a cabinet. For their hot water needs, they had a tankless water heater located outside the house near the faucets of the kitchen area. 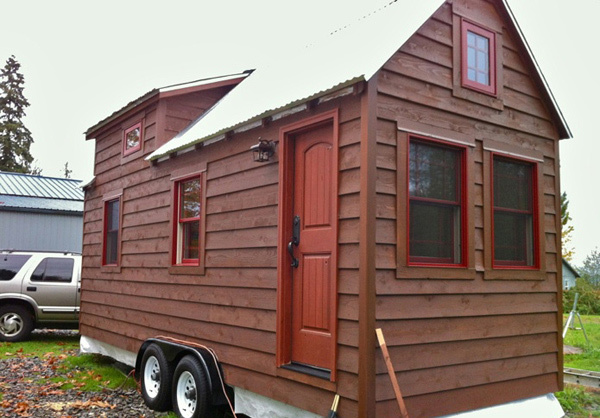 This tiny home is built on top of a trailer so that it can be mobile. The couple opted to use natural materials for their home. Tongue and groove pine woods were the main materials for the interior sidings and walling. In between the double walling, sheep wool was used to provide insulation and warmth especially during winter. The floor for the living and kitchen area were mounted with engineered bamboo flooring while the bathroom’s floor was made of vinyl. Cathedral ceilings were used to provide good ventilation inside the house paired with its windows and skylights. Even the ceiling were stuffed with wool but were only provide with screen to avoid it from falling off. The entire home was really intelligently designed and is perfectly suited to the couple’s needs. 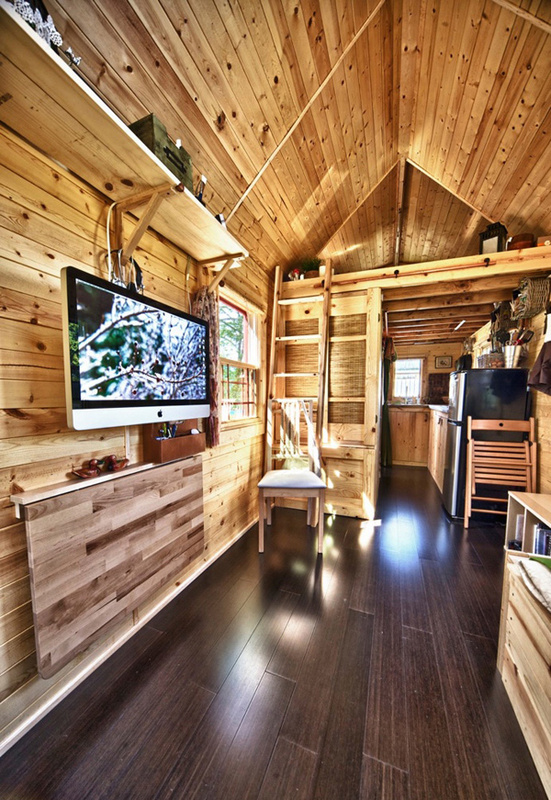 Now let us take a look at some images of the Tiny Tack House. With this view of the house, you will see its gable roof which made use of corrugated galvanized sheets. You can also see that despite being small, this house is still a beauty. 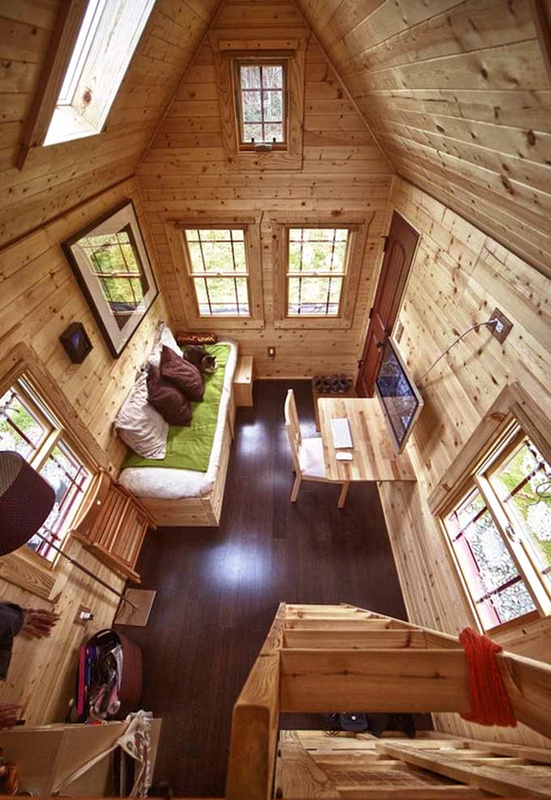 This is the interior of the tiny house. Notice the high ceiling and the use of pine woods in the entire home. The double walling contained sheep wool inside it to keep the house warm on cold days. Even the flooring contained wool inside it. 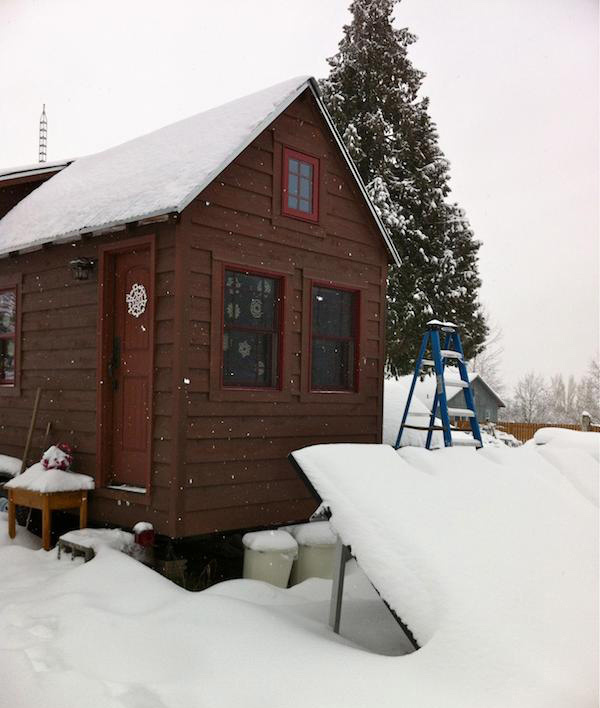 A view of the other side of the house where you can see the sleeping loft on a shed dormer and the kitchen area. As seen from the sleeping loft, the entire home is well organized. You can also notice the black floor which is actually made from engineered bamboo flooring. 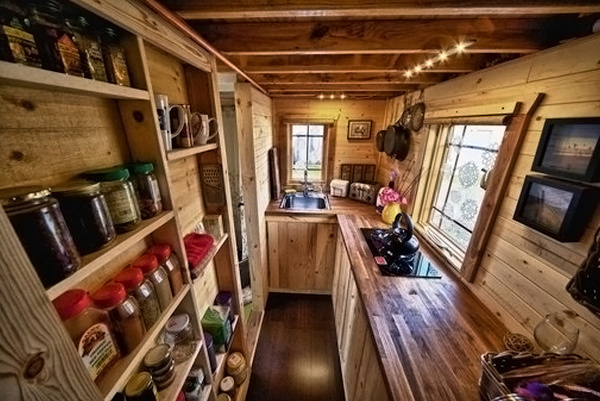 Of course, you wouldn’t expect a big kitchen for a tiny home! The area despite being small is complete with the basic amenities of every home kitchen. A small kitchen can contain so many things but when arranged well, it will still look good. Hanged cutleries and other kitchen stuff can help save space. Magnetic holders were used for the spices and woven baskets as shelves. This one is the couple’s home office. 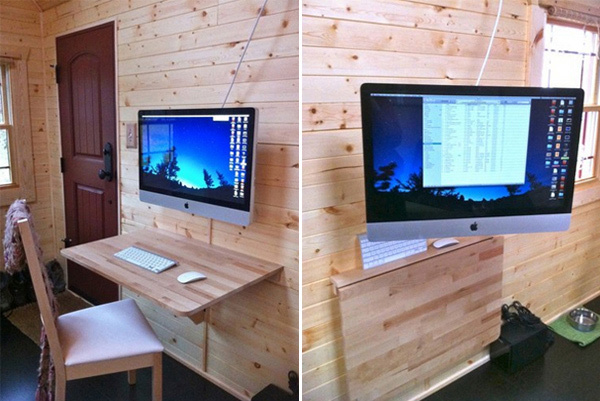 The iMac computer is hanged on the wall and the table can be folded when it is not in use to provide more space in the living area. 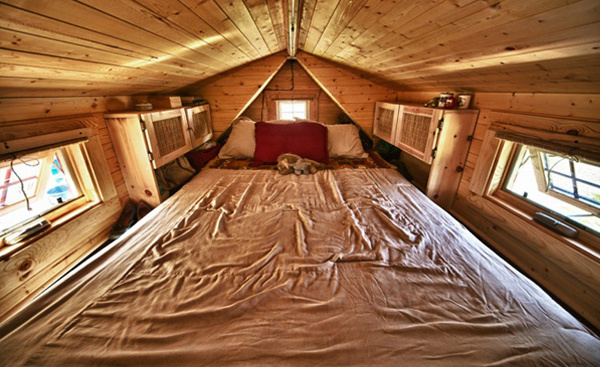 The sleeping loft is located underneath the cathedral ceiling. Sleeping here can surely give one a good sleep especially with the warmth of the sheep wool under the pine woods. Another secret of this home is having so many storage areas. 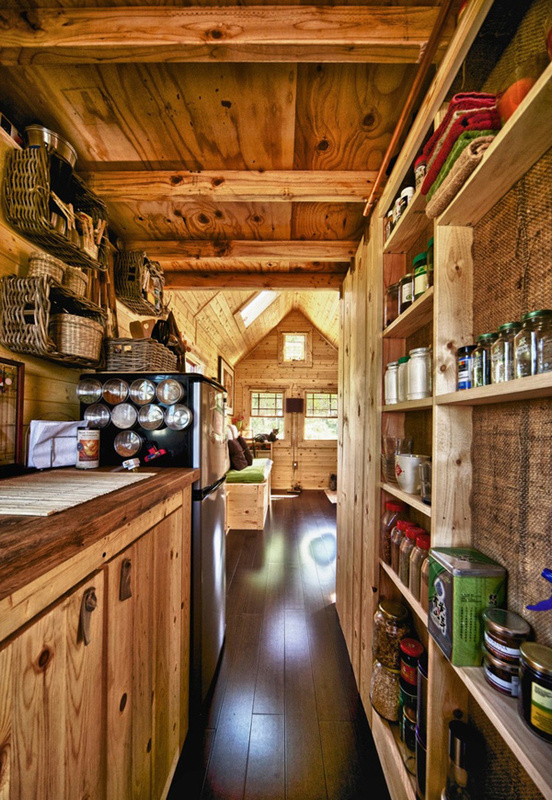 It made use of every space possible to keep items and other stuff. This keeps the home clutter-free and very organized. A house wouldn’t be complete without the shower. 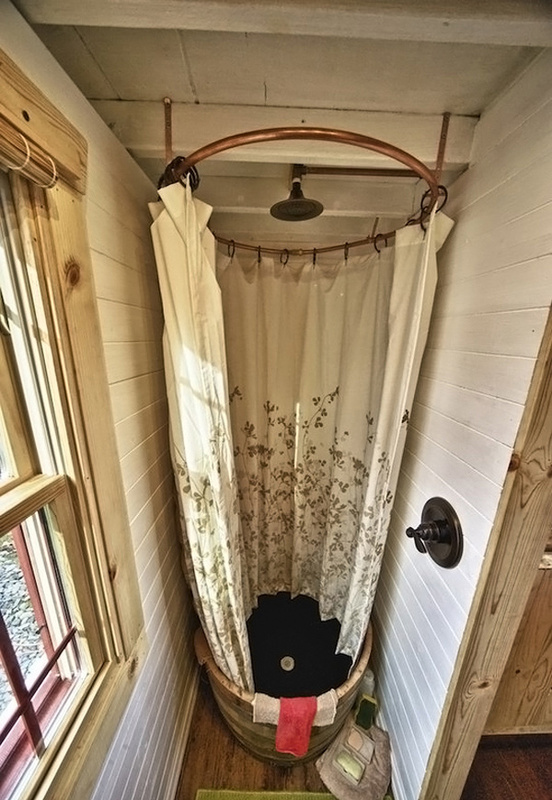 Look at how small this shower area is which uses a wine barrel! But it was intelligently done to make sure that the outside area won’t get wet. Of course, if there is a shower area, there would also be a toilet. You will surely be surprised if you will see what is under that toilet seat! Notice how organized the comfort room stuffs are. The exterior of the house looks beautiful with the use of tongue and groove pine wood. The wooden door also added beauty to its look paired with double-hung glass windows with wooden frames. 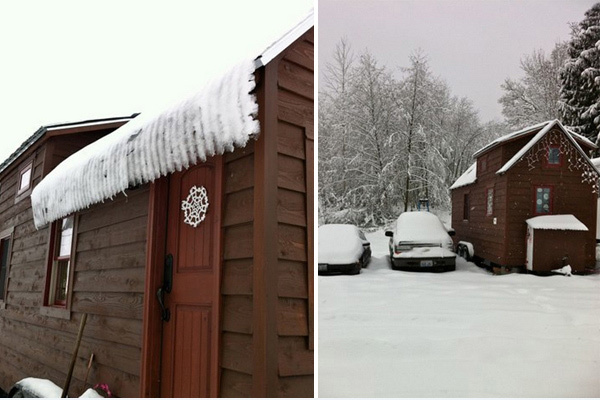 The dormer where the sleeping loft is located looked beautiful outside. In this view, you can also see the tankless water heater placed inside a box. The house managed to use natural materials and also made use of solar panels for energy. For the home’s ventilation, they used 10 windows and skylights. 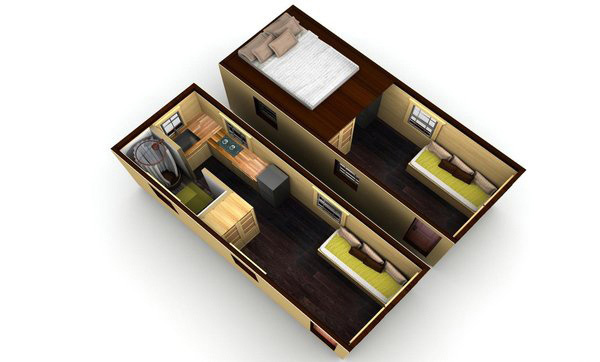 The 3D design of the house as how the couple wanted it to look like. The house certainly looks interesting! The mere fact that it was built on a trailer is already an amazing thing but when you get to see the interior, you will even be more amazed on how they smartly designed it. It is also sustainable since it used natural materials and even a solar panel for their electrical supply. There are also smart storage areas in the house which makes it well kept since all of the stuff goes into drawers, cabinets and many other storage spaces. For Chris and Malissa, this is their perfect retreat since both of them can live and work here. Indeed, nothing would be more perfect than a home designed for your needs. 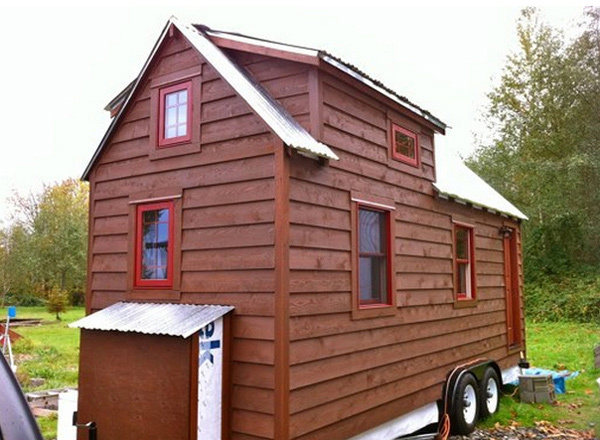 You can take a look at how the couple made their house through their blog, Tiny Tack House. 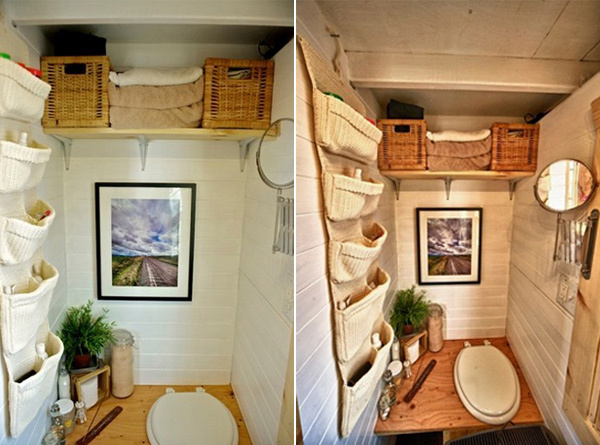 You will see how this 107 square feet mobile home was made by the couple and for sure you will be impressed!